Rep. Joe Kennedy has been chosen to give the Democratic response tonight. While the star of the show tonight is undoubtedly President Donald Trump as he delivers his first State of the Union address, Democrats have enlisted a famous name - and possible scene stealer - of their own. 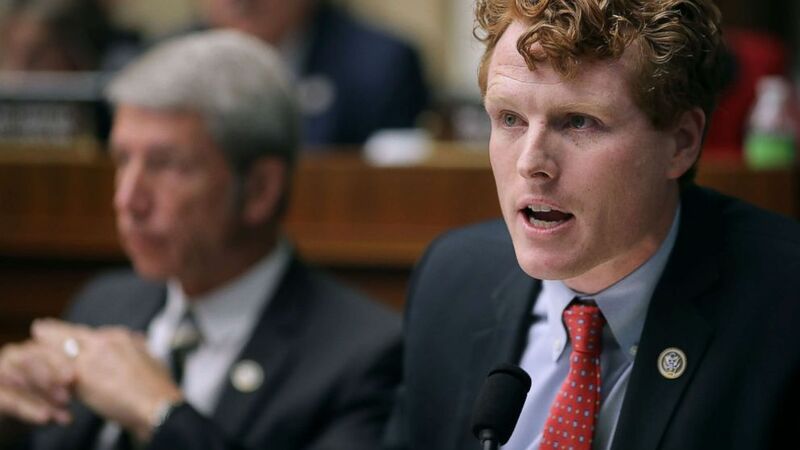 Rep. Joe Kennedy, D-Mass., will give the response to the State of the Union this evening, a speech right after the president's that's been used for decades by the opposing party as a rebuttal of sorts. Experts say there are clear reasons why Democrats chose the 37-year-old Kennedy to be the face of their party this evening. “Obviously, he comes to the table with a political pedigree as well as charisma,” she said. (Chip Somodevilla/Getty Images) Rep. Joseph Kennedy (D-MA) delivers opening remarks during a markup hearing on the proposed American Health Care Act, the Republican attempt to repeal and replace Obamacare, in the Rayburn House Office Building on Capitol Hill, March 8, 2017. Kennedy, the grandson of the late attorney general Robert F. Kennedy, is serving his third term in Congress. “That choice of a younger person could convey optimism in the future of the nation, which I personally think is a particular goal of this year’s State of the Union response,” Cafaro said. John Hudak, a senior fellow at the Brookings Institution, agreed that choosing a younger member of the party could be an “effective” strategy, but said other considerations appear to have been overlooked. “In a year in which women’s empowerment has been so central, Latinos have been vilified, and relations in the African American community have grown more divisive, it’s not clear that the Democratic response is effective when its coming from a white man,” Hudak said. He also said that while Kennedy’s famous last name will make him more recognizable to some, it also carries baggage. While the selection of the opposition party’s standard bearer for the rebuttal is seen as a vote of confidence in what Cafaro calls “a rising star within the party,” it also comes with potential pitfalls, she said. (APTN/AP) In this image made from video, Louisiana Gov. 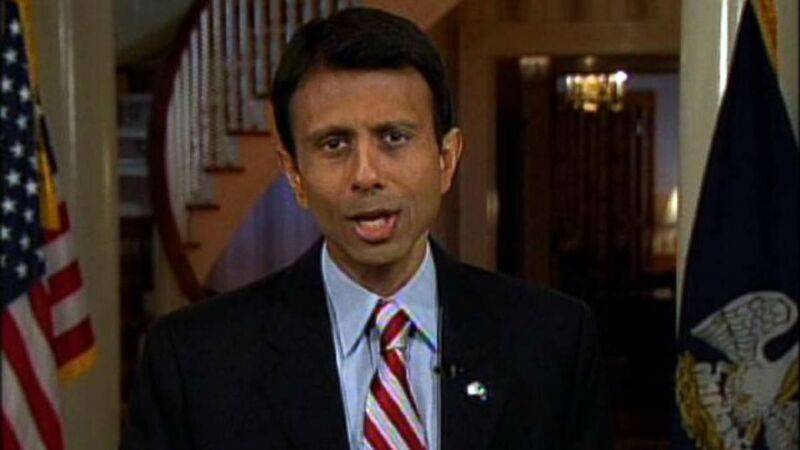 Bobby Jindal delivers from Baton Rouge, La. the Republican Party's official response to President Barack Obama's address to a joint session of Congress, Feb. 24, 2009. Some recent responses have failed to live up to expectations - or hype. Two that experts say stand out as examples of how the high-profile choice can go wrong are Republican responses given by then-Louisiana Gov. Bobby Jindal in 2009 and Sen. Marco Rubio in 2013. 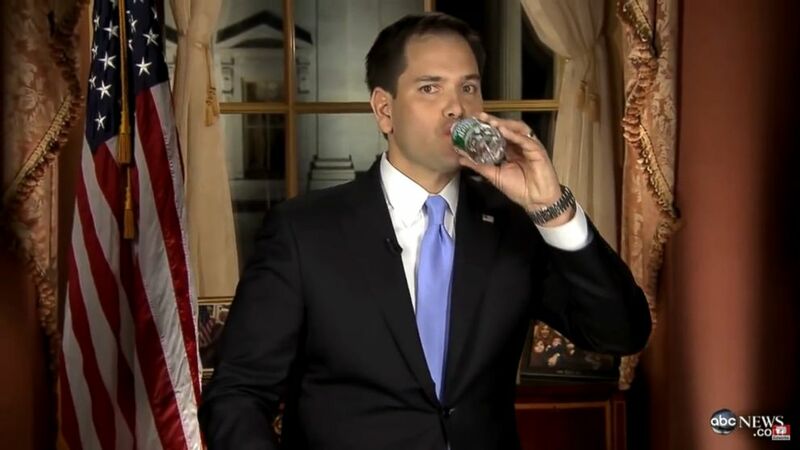 (ABC) Sen. Marco Rubio takes a sip of water in a video response to President Barack Obama's State of the Union address, Feb. 12, 2013. Hudak called Jindal’s performance “a total disaster” because he “looked and sounded like a marionette doll.” And Rubio’s need for a water break during his rebuttal prompted a torrent of jokes at his expense, including from Trump on the campaign trail when the two men ran against each other years later. “In some ways you’re more effective in giving a response if it's not memorable because people tend to remember the bad,” Hudak said.